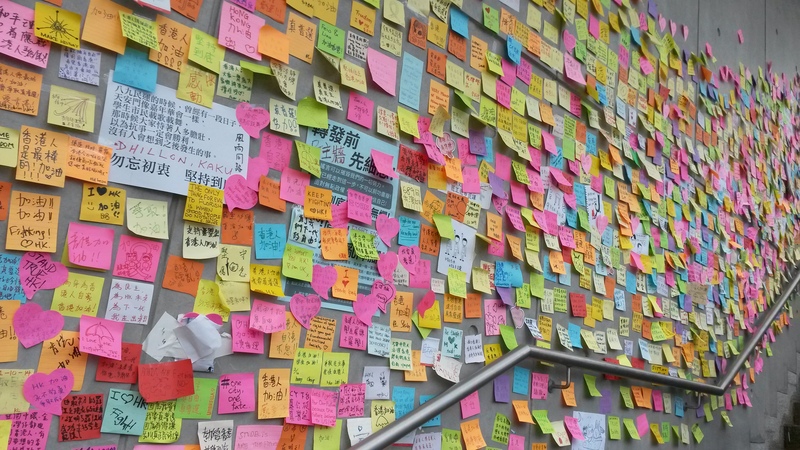 Hong Kong’s “democracy wall” where people have written their messages. The stairs in the picture lead up to one of the entrances of the Government HQ. 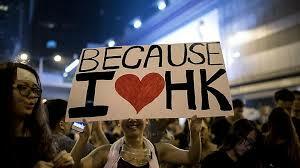 Anyone who loves China and the people of China will be watching events in Hong Kong with a combination of apprehension, fear and hope. The apprehension and the fear is based on what happened in Tiananmen Square a quarter of a century ago ago but the hope must be that wiser leaders in Beijing today will not resort to brute force. Hong Kong’s dynamic economy has been the model for China’s spectacular economic improvements it should now become the model for democratic change. Hong Kong’s success is inextricably bound up with the liberties, political and religious freedoms enjoyed by its citizens. Crush them and Hong Kong’s vibrancy would be destroyed. Embrace them, and it will enable China to develop in harmony and unity. 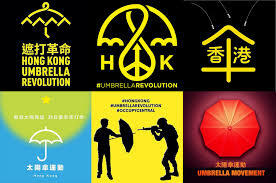 IT’S HARD not to be inspired by the images of crowds in the centre of Hong Kong peacefully demonstrating in favor of democracy, their unlikely symbol not a clenched fist but an open umbrella. But it’s also difficult not to remember the similar mass demonstrations that filled Beijing’s Tiananmen Square 25 years ago and how those ended. The pessimistic consensus in and outside China is that the Communist party leadership of Xi Jinping, which has adopted a hard line against political dissent, is likely to forcibly crush this protest movement if it persists, just as the last one was crushed. Beijing, however, has not acted yet; police in Hong Kong backed off on Monday and Tuesday after their use of tear gas over the weekend brought more people to the streets. Chinese authorities probably are weighing the risks of allowing the street occupations to continue against those of initiating a crackdown. That makes this a crucial moment for the United States to send a clear message to Mr. Xi: that repression is unacceptable and will damage China’s relations with the democratic world. Unfortunately, the Obama administration’s response so far has been gallingly timid. White House and State Department spokesmen have carefully avoided offering explicit support for the demonstrators’ demands for free elections for the city’s leader, rather than a managed choice among nominees approved by Beijing. 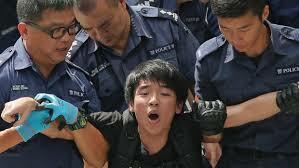 They have urged the demonstrators to be peaceful, though only the police have resorted to violence. After the 1989 Tiananmen massacre, President George H.W. Bush and Congress imposed tough sanctions on China, though Mr. Bush soon backed down. Since then China has grown into a major power that is more resistant to outside pressure. 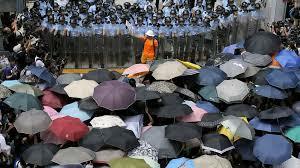 The United States cannot protect Hong Kong’s democracy movement if Mr. Xi decides to crush it. But it can and should support its demand for genuine democracy and let China know that the use of force would have consequences for U.S.-Chinese relations. “I salute the courage of the hundreds of thousands of Hong Kong citizens who have participated in mass demonstrations in the territory in recent days to assert peacefully their right to have a say in the election of their leaders. They are taking action not for themselves, but for their broader family, their community. 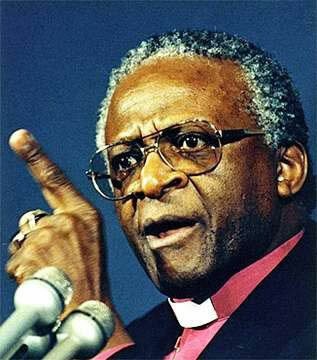 “Their struggle is one that all who believe in the principles of democracy and justice should support. “Periods of societal transition are exciting because of the opportunities they present. With its handover from Britain to China in 1997, Hong Kong embarked on a 50-year transitory journey towards universal suffrage. “The foundation stone of the handover agreement was promulgation of the Hong Kong Basic Law, which gives legal effect to what is known as the “one country, two systems” arrangement. The Basic Law guarantees Hong Kong residents the rights to freedom of speech and association, and the freedoms to gather and to demonstrate. “Peaceful demonstrations present opportunities for various points of view to be ventilated, and for parties to demonstrate their commitment to the principles of freedom of expression, dialogue and rule of law. 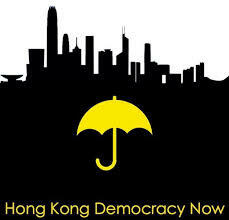 “The scenes that have been filling our television screens and email inboxes reflect differences of opinion that have emerged over the route that should be taken to complete Hong Kong’s journey to democracy. Its people, led by the youth, are adamant that Beijing has no right, in terms of the handover agreement, to decide who should take over as the new chief executive of the territory in 2017. “The firing of teargas at demonstrators, as happened on Sunday, was a bitter blow to what many still hope will be a peaceful, inclusive and dignified transformation process.